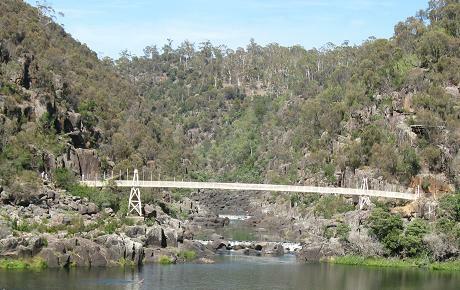 Launceston was built at the meeting point of three rivers - the North Esk, the South Esk and the Tamar. First settled by Europeans in 1804, it now has a population of 65,000. It is Tasmania's second largest city (after Hobart, the capital). 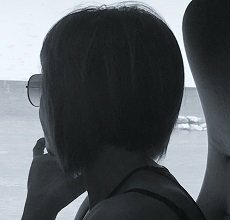 With all these rivers around it just made sense to jump on a cruise. And I'm so glad we did! Aboard the Lady Launceston, we learnt lots of interesting historical facts about Launy (local name for the city). 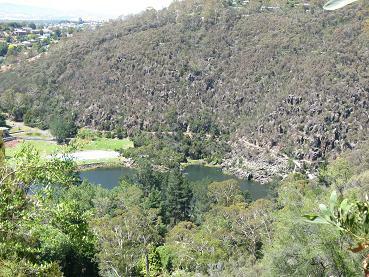 After the cruise, we drove to the Cataract Gorge Reserve. 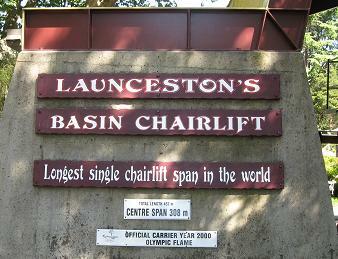 We could have taken the 1.6 kilometre walk there, but wanted to take the opportunity to drive around Launceston. We got to the Reserve in just a few minutes. I was terribly excited about riding the world's longest single-span chairlift. It was a wonderful ride, just the right speed so you could take in the views and get a few photos too. On the chairlift ride we had a superb view of the Alexandra suspension bridge. We were amazed that the original bridge had actually been washed away by the 1920s flood. We were looking at the reconstructed version. What a flood that must have been! Once we arrived on the other side of the Gorge, we explored the surrounds. Every now and then we would hear loud cries. We were not sure if they were of human or animal origin. When we asked the chairlift assistant, he told us that they were peacock cries. 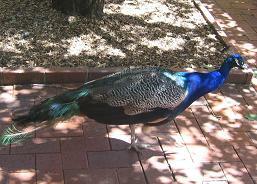 Peacocks? 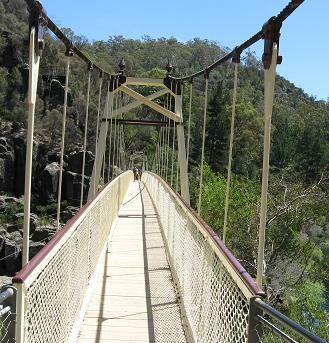 After morning tea, we headed for the Alexandra suspension bridge. We wanted to see what it would be like to walk across it. We watched people enjoying a dip in the waters of the gorge. It was a fairly hot day and we would have loved to join them, but unfortunately time was short. Next we decided to do the walk to the Eagle Eyrie Lookout. It was a little challenging, I must say! But the view, as you might expect, was worth the strenuous uphill climb. Reluctantly we left Cataract Gorge so as to check out a little bit of the city itself. At the Visitor Centre, we picked up the "Heritage walks" brochure as it had information on historic buildings in the city. The brochure was our guide on an enlightening journey around the city's lovely old buildings. Yes Launceston certainly has a lot on offer for those who take the time to discover the city's treasures.